The new Mosquito XE is the same as the original Mosquito but with the open frame tubing replaced with an all fiberglass airframe. The Mosquito XE Ultralight Helicopter airframe is a unibody construction made entirely of high quality fiberglass in a vinyl-ester matrix. Body and structure are the same to minimize weight and maximize structural efficiency. The Mosquito XE is powered by the same Compact Radial Engines MZ202 engine used for years on the open version of the Mosquito helicopter. A custom tuned exhaust is used on the XE which weighs two pounds more than the stock exhaust but allows the engine to produce more power while retaining its reliability. The power train, controls and rotor systems are the same as those used in the open version of the Mosquito with minor modifications. 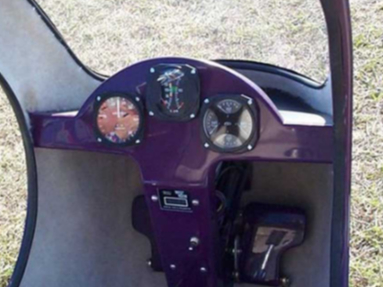 The collective control has minor modifications made to adapt to the different mounts in the Mosquito XE. 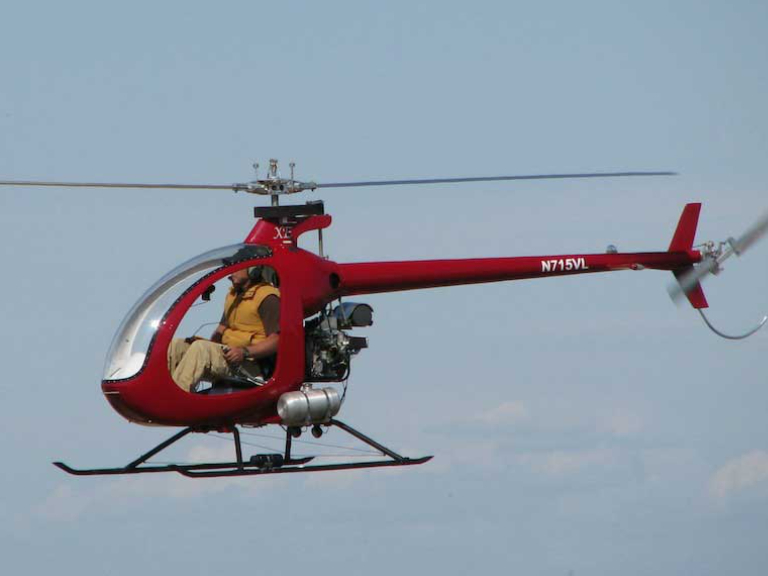 The main rotor blade diameter has increased by 1.5 ft to account for the additional gross weight. 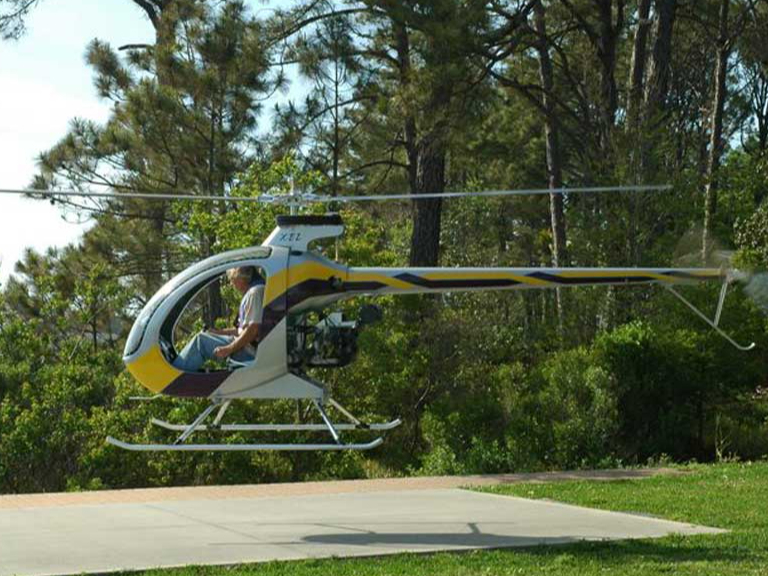 The Mosquito XE is for sale Ready To Fly or in different kit variations starting at $32,000 USD, a great price for an ultralight helicopter! Contact Mosquito Aviation for current prices and options on kits. 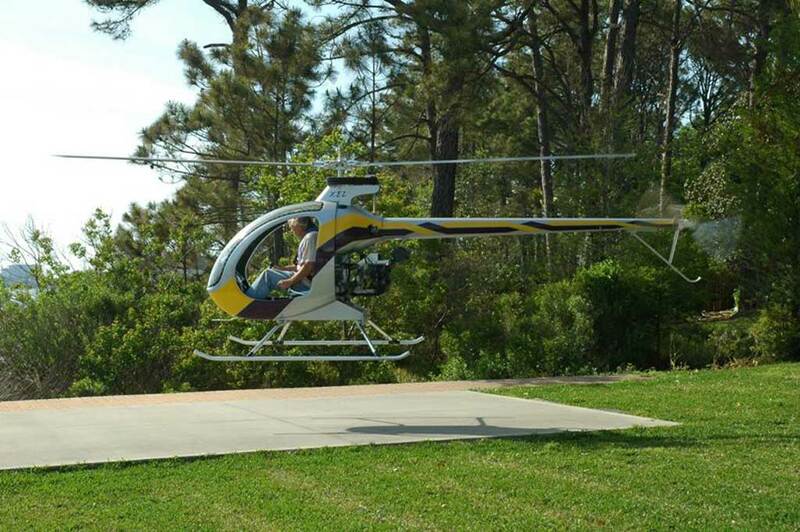 A great buy if you want a small personal helicopter! 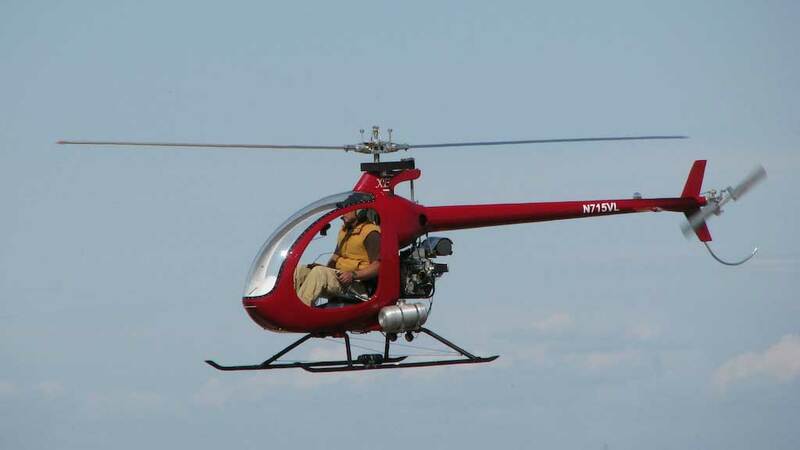 Editors note: Check out the other small personal helicopters! 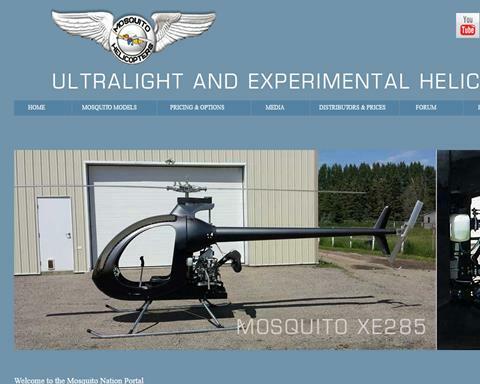 Extensive website if you are researching or building a Mosquito XE / XEL, Mosquito XE3, Mosquito Air or Mosquito XET helicopter.